It was initially published in the Sydney Morning Herald (SMH) newspaper at the time,^http://www.realdirt.com.au/2008/09/08/hazard-reduction-burning-ecological-or-pathological-smhreal-dirt-exclusive/]. What is revealing about the following article is more the defensive comments contributed by members of bushfire management (in red) – reflecting the entrenched beliefs and practices of their ‘bushphobic cult‘ is being challenged and so they unleash sanctimonious vitriol to anyone who dares criticise. The euphemism ‘Hazard Reduction‘ has become a bushfire management cult. It has evolved as a consequence of generations of fire fighters denied proper and appropriate reasources by successive Liberal-Labor governments to fight bushfires when they occur. 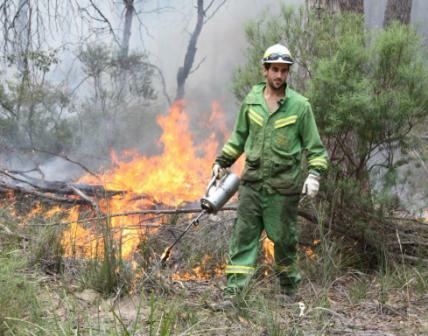 Fighting bushfires requires instantaneous detection technology and standby effective suppression technology. Instead Australian governments at all levels deliver urban firetrucks and hollow promises. The rest is left to fit and willing resident volunteers. It is politicians again sending ouir sons to fight their war. Since government pollies have always denied bush fire fighting the ability to effectively detect and respond to ignitions, bushfire management’s response strategy has descended into the defeatist arsonist ‘burn the bush before it burns‘. Australian bushfire fighting has become an arson disgrace. Such defeatism ignores the fact that native vegetation is the innocent victim of fire. Instead the cult belief demonising Australia’s natural ecological asset as ‘fuel’, a ‘hazard’, a liability. It is a similar simplistic attitude that early colonists had toward wildlife, considering them as ‘vermin’ and ‘game’. Hazard Reduction has been euphemistically rebranded ‘prescribed burning’ by the so-called ‘fire ecologists’. It remains arson no less. The scale and frequency of hazard reduction has exponentially increased so that what was once a buffer of cleared land around specific houses is now broadscale incineration including remote aerial incendaries setting fire to vast regions of forest and bushland many kilometres from houses. The so-called ‘cool burns’ often reach into the tree canopies and cause the same irreparable tree damage as intense wildfires. Many hazard reductions escape and get out of control – such as the 2011 Perth Hills experience that destroyed 68 houses. Then when a wildfire does occur, standard bushfire management practrice invariably leaves to burn until/unless houses are directly threatened. Remote wildfire has become default hazard reduction. And so, every year thousands of hectares of native vegetation understorey is destroyed and the dependent fauna are driven closer to exinction. Hazard Reduction is Australia’s worst ecological crime. Start of Article:…’It’s spring, and soon we’ll start to get sensationalist stories predicting a horrendous bushfire season ahead. They will carry attacks on agencies for not doing enough to reduce fuel loads in forests close to homes, for unless those living on the urban fringe see their skies filled with smoke in winter they panic about losing their homes in January. Fighting fires with fear is a depressing annual event and easy sport on slow news days. Usually the debate fails to ask two crucial questions: does hazard reduction really do anything to save homes, and what’s the cost to native plants and animals caught in burn-offs? A new scientific paper published in the CSIRO journal Wildlife Research by Michael Clarke, an associate professor in the department of zoology at La Trobe University, suggests the answer to both questions is: we do not know. they do not lead to irreversible damage to native wildlife and habitat. He argues we need to show some humility, and writes: “The capacity of management agencies to control widespread wildfires ignited by multiple lightning strikes in drought conditions on days of extreme fire danger is going to be similar to their capacity to control cyclones.” In other words, sometimes we can do zip. Much hazard reduction is performed to create a false sense of security rather than to reduce fire risks, and the effect on wildlife is virtually unknown. The sooner we acknowledge this the sooner we can get on with the job of working out whether there is anything we can do to manage fires better. We need to know whether hazard reduction can be done without sending our wildlife down a path of firestick extinctions. An annual burn conducted each year on Montague Island, near Narooma on the NSW far South Coast, highlights the absurdity of the current public policy free-for-all, much of which is extraordinarily primitive. In 2001 park rangers burnt a patch of the devastating weed kikuyu on the island. The following night a southerly blew up, the fire reignited and a few penguins were incinerated. It was a stuff-up that caused a media outcry: because cute penguins were burnt, the National Parks and Wildlife Service was also charcoaled. Every year since there has been a deliberate burn on Montague, part of a program to return the island to native vegetation. Each one has been a circus – with teams of staff, vets, the RSPCA, ambulances, boats and helicopters – all because no one wants any more dead penguins. Meanwhile every year on the mainland, park rangers and state forests staff fly in helicopters tossing out incendiary devices over wilderness forests, the way the UN tosses out food packages. Thousands of hectares are burnt, perhaps unnecessarily, too often, and worse, thousands of animals that are not penguins (so do not matter) are roasted. All to make people feel safe. Does the burning protect nearby towns? On even a moderately bad day, probably not. Does it make people feel better? Yes. Clarke’s paper calls for the massive burn-offs to be scrutinised much more closely. “In this age of global warming, governments and the public need to be engaged in a more sophisticated discussion about the complexities of coping with fire in Australian landscapes,” he writes. He wants ecological data about burns collected as routinely as rainfall data is gathered by the agricultural industry. Without it, hazard reduction burning is flying scientifically blind and poses a dangerous threat to wildlife. “To attempt to operate without proper data on the effect of bushfires should be as unthinkable as a farmer planting a crop without reference to the rain gauge,” he writes. “The theme of this piece is the saving of wildlife that might be destroyed by hazard reduction burning. But the trouble is that Australian plant species divide into two broad groups: the pyrophytes or ‘fire plants’ and the pyrophobes, or ‘fire loathing plants’. There can be little argument about it: much of the Australian bush has incorporated fire into its life cycle, with eucalypts, acacias and many undergrowth plants loaded with volatile oils. All that is needed to convert them into incendiary bombs is a hot summer’s day. Even the old ‘banksia man’ with his beard of dried flower parts surrounding the seeds ready to go is designed by nature to catch fire, though his tree is not. I regularly drive through the Warrumbungle Park. There is nothing so pathetic as the signs they have up everywhere warning people that gathering firewood is forbidden. Nor do they control burn there. So every few years the whole park goes up like a bomb and damn near everything gets burnt to smithereens. This continent was ‘firestick farmed’ by the Aborigines, arguably back to 110,000 years ago. The animals and plant species survived their cool burns. We need to adopt that practice, which was lost when the country was fenced and farmed, and preventing bush fires became the name of the (futile) game. “James, read your piece in the Herald. I live on the edge of the bush in the Blue Mountains, and I disagree with you. “As an enthusiastic CFU (Community Fire Unit) member in Sydney, I read your SMH article with interest – but then recalled my recent visit to the Garma Festival in NE Arnhemland. 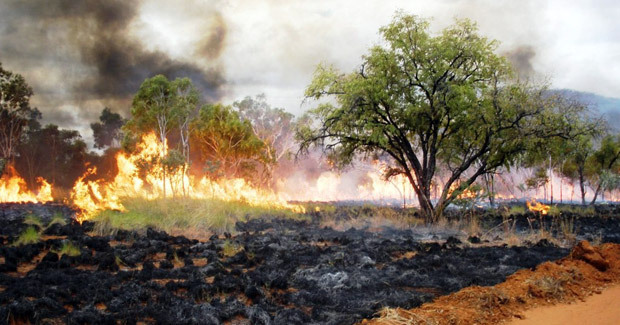 There much was made of the controlled burns being increasingly managed by indigenous rangers on the basis of their traditions, but also increasingly funded as carbon offsets by international polluters like Conoco because the controlled burns were so much less polluting than uncontrolled ones – which would in time occur anyway. “Talk about a sensationalist story. Yes there probably is no scientific data, but there is anecdotal evidence. Hazard reduction is only part of a holistic approach to protecting the community. They can reduce the intensity of a bushfire and allow the firefighters or residents to defend their homes. This is also true for the environment, some plants can withstand a low intensity fire but would be destroyed in a high intensity wildfire. As for the wildlife, you just have to stand at the edge of a hazard reduction to see the multitude of creatures fleeing the burn. Do they all get out? I don’t know, but I’ve seen more dead and injured animals after a bushfire than a hazard reduction. One thing most people don’t take into account is that the bush has evolved to burn at a particular time of year, usually when it’s hot and dry. But, of course, hazard reduction burning are done in the cooler months. It is reason to think that this must effect the plants and alter their community, but so does any fire or even lack of fire. After decades of natural fires and hazard reductions (mosty done with little regard to the environment, unlike what is done now), I still can look out on thousands of hectares of World Heritage bushland full of animals. “More and more scientific evidence is surfacing showing that fire is not good for the environment as a whole including vegetation and in particular the soil biota. Even a so called cool burn devastates the top 25mm of all life slowing the future uptake of carbon into the soil. Just look at the release of CO2 by reduction burning (any burning) and the subsequent inability of the burned area to capture CO2 for the next 10 years or so. We know far too little to make a statement that “burning is ok” while science could ultimately show that it is NOT. “Good article James, interesting how you skillfully worked the Penguins into it. The two questions the article was based on are only part of the this very complex issue. Others might be: Where do we get the biggest fire mitigation (protection) bang for the taxpayers buck? Do we need to focus mitigation more towards the “points of risk” (lives & assets), or towards the hazard (fuels). The problem here is the politically perceived, remote fuel hazards being burned repeatedly at the expense of our biodiversity and water catchments, while the points of risk and their surrounds remain the primary part of the hazard. How effective are low intensity, autumn, hazard reduction (HR) burns? The wildfire that threatens the asset via the HR occurs across flat ground, under exactly the same environmental conditions as the HR burn. The wildfire occurs within 14 days of the HR. “Dear James, I regularly skim the Opinion & Letters sections of the Herald because I value reader input. It was refreshing to read your article on hazard reduction, and encouraging because I support your stated views; the sensationalist predictions of bushfire Armageddon, the bush morphed into threatening fuel loads, and questioning the post-War II practice of hazard reduction. Thank you for investigating and publicising research on this issue. So often the research is not made public and little reference is made to research by those hell bent on perpetuating the bushphobic culture of hazard reduction. The key problem is no one is measuring the environmental impact of hazard reduction, certainly not in the Blue Mountains where I live. As you state: “the effect on wildlife is virtually unknown”. Another key problem is the lack of investment in resources to detect and respond to ignitions promptly. You refer to Montague Island. 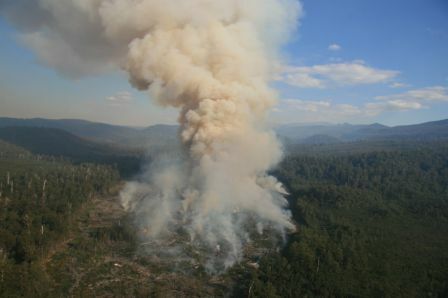 The Grose Valley Fires of 2006 was a defector hazard reduction of 14070 hectares of important conservation bushland including so-called protected World Heritage. Ian MacDougall’s response [9 Sep 08] would have merit if we had similar large tracts of quality habitat across NSW that existed pre 1788, not the 25% of forested NSW that we now have. The Aboriginal firestick justification is reserved for a pre-1788 dreamtime. “Your article on Fire was read with great interest. We have lived in the ‘bush’ for 20 years, are active members of a wildlife care group and my husband is an active member of the local bush fire brigade. We have seen so-called ‘controlled’ burns get out of control (causing the tragic death of a local in one instance), and have often wondered if these burns are really doing any good at all, for either the bush or the wildlife. Thanks for bringing this subject to the forefront and stimulating debate. It will be interesting to see the results of further research, especially by Prof. Michael Clarke. “S. Ridd, your point regarding our fire authorities ability (or lack of it) to quickly detect and respond to fire, especially remote area fires is the key to fire suppression in this country. The recent Bushfire CRC Project A3.1 aerial suppression research, Pollack H. N. 2003, looks at this very issue. In summary, the research has found that the rapid deployment of aircraft and ground crews to a fire will have a high probability of suppression success even when high fuel loads and fire danger indexes exist. The cost of this type of approach is not big, especially when one considers the enormous costs associated with suppression of large fires, not to mention the life and property costs. Indigenous burning practices have been around in a range of global climate scenarios over south-east NSW for at least 6,000 years up until European intervention about 200 years ago. These Indigenous burning practices put frequent small burns into areas that were inhabited, and allowed large ‘natural’ fires on an average of every 20 years into uninhabited areas. The small frequently burned areas contained the runs of large ‘natural’ fires. Biodiversity 200 years ago was much higher than it is today. In a global warming world I think we can learn a lot from the Indigenous burning practices to apply in contemporary fire management. “James, You may have bitten off more than you can chew with this story! Fire management in Australia is a very complex issue and aside from the common view that fire is a natural part of the Australian environment we are managing it in a unatural world. We have built our homes next to our fire prone ecosystems and should a fire start by lightning – the fire is suppressed – in itself an unatural act. I agree that more information is better than less when we’re managing the impacts of prescribed fire on the environment – for respondants to suggest however that low intensity fire has a greater impact on the environment than high intensity fire is a generalisation and does not consider frequency, ‘patchiness’ and vegetation community or forest type. 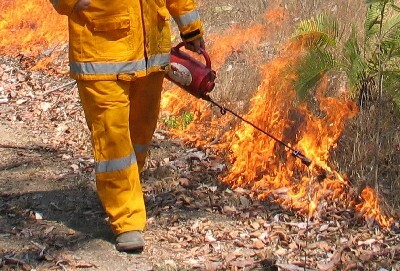 Further assertions by respondants that we should increasingly rely on emergency response and suppression of wildfires rather than also using land management approaches is niave and does not recognise the full range of fire management tools available for managing risk (such as established road networks, rapid response resources, suitable infrastructure for detection, prescribed burning, manual hazard reduction, development and planning controls etc) and balancing ecological outcomes with those for protecting life and property. “I note that neither Michael Clarke’s original paper or your article say that prescribed burning doesn’t stop bushfires; all they say is that we don’t know how well it works. As a fire manager & researcher I couldn’t agree more. Its not enough to say that it worked a couple of times in Jarrah forest or American Ponderosa Pine, we need to know how often and under what conditions it will work in Sydney heathland, Cumberland Woodland or montane Candlebark/Ribbon Gum forest. As you say, we need to know the effects of this artificially frequent fire regime on wildlife, but we don’t. We are also in no position to make the sweeping claim that “the Aborigines did it”, as if all of the indigenous nations used fire in the same way in all environments and communities from the desert to the alpine area. The traditions and evidence say that they didn’t and don’t. The reality is that for such an influential force that we wield, we know far too little to say whether we are helping things or making them worse. “There are some unbelievably ignorant or just plain naive posters on here. You obviously have no idea how difficult it is for us to get a hazard reduction burn approved because of the need to plan in cooperation with National Parks and Wildlife, the local council, and others, mostly to protect the environment. We don’t have a problem with protecting the environment, except that the bureaucratic process takes far, far too long. In one of our most vulnerable areas in the Blue Mountains (Weemala) the process took 6 six years. It was a hazard reduction in an area where the fire typically jumps the Great Western Highway and the lower Blue Mountains then turns to sh*t.
Do you really believe we don’t care about the flora and fauna? You are fools if you do. Of course we care. We also care about people and their homes. “I have been involved in the bushfire services for 13 years and can say that when hazard reduction burning is done correctly and in a strategic manner it makes a major difference during summer. I have been involved with many large scale fires where the only way they have been controlled is because they have burnt into low fuel areas. Western Australia through DEC has always been heavily involved in bushfire mitigation efforts and it shows in the reduced frequency of large scale bushfires. Argue all you want about terrain etc but the reality it is the strategic large scale burns that DEC conduct protects WA from similar large scale bushfires that you see on the East Coast. Defeatist Policy: ‘Burn it before it burns, bugger the wildlife’! This entry was posted on Friday, March 2nd, 2012	and is filed under Threats from Bushfire. In my area there are hardly trees and so a burn off killing the few trees (including some truly old snow gums) is ludicrous. Never the less, yesterday in Berridale NSW the Rural Fire Service (RFS) set fire to some “paddocks” surrounding Berridale. Berridale is a tiny country town surrounded by a good expance of rural farm land and a little further on, the Snowy Mountains. It is still snow time here, very cold, but Spring is approaching. I tried to put out a fire for a gum tree on fire that was one of the few alive in that paddock due to past droughts. This tree was a livelihood for many animals, insects, and plants about it. Such trees are also vital to control erosion, help retain moisture to the soil and of course help oxygen breathers such as ourselves to breath. It would be ridiculous to kill the few remaining live gum trees in this area, nevertheless, the RFS told me they were aware it would catch fire and intended to kill it. The person I spoke with clearly believed all were safer if all could just be burnt down. He showed no understanding of the destruction he was causing. There were several other young gums on fire and another huge gum tree about to catch fire. Though the gum tree I had tried to save was also huge and seemed to catch fire quite intensely, he seemed to think that another tree under the same circumstances couldnt catch fire. There was basically no logic involved. It’s early morning and I will drive out to the areas put on fire and see what has become of the few live gum trees about. In a few months no doubt I will see cattle and sheep with no shade in their paddocks, more erosion, no koalas, less native wildlife and basically a desolate scene. The most painful thing about that particular burn off is that it really is a no brainer – dont let the few large, centuries old gum trees still alive in the area catch fire in a “cold burn”. Sadly such obvious understanding was not available to the Berridale Rural Fire Brigade. Further it was clear from what I was told that the farmers were to some extent in charge of what I believe was in part a land clear paid for by the fire brigade. Practically speaking clearing trees is a clear exacerbation of drought conditions and erosion. More vitally, these old trees enrich our very being and anyone feeling the wonder of existance would weep at such a scene. We are truly killing our own family by such destructive action.